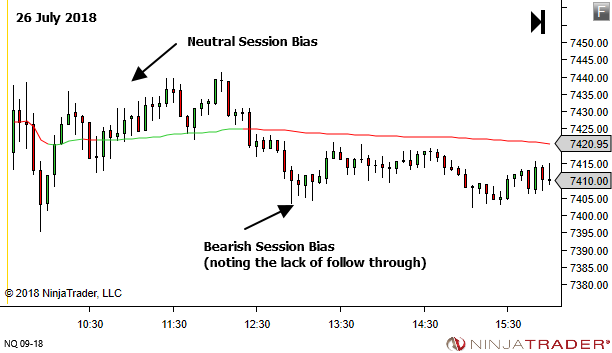 Maintaining context is essential for effective price action trading. 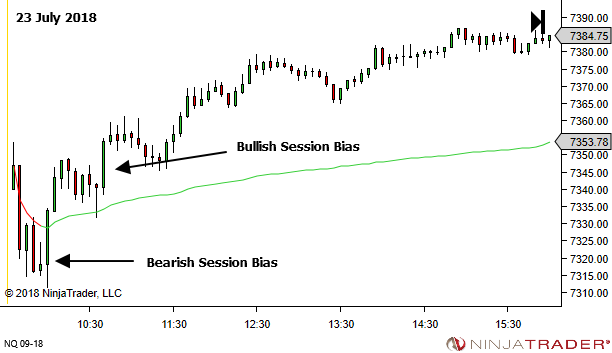 And while that is true for all timeframes, it's especially so in the lower intraday timeframes where you can easily get caught up in the tick-by-tick battle between the bulls and bears. My primary tools for context are the trend structure which I view on the trading timeframe chart and a support and resistance framework on a higher timeframe chart. All revealed here if you're interested. But over time I've adopted a slight addition to this plan. One additional piece of context data. Very quick to establish. And very simple. 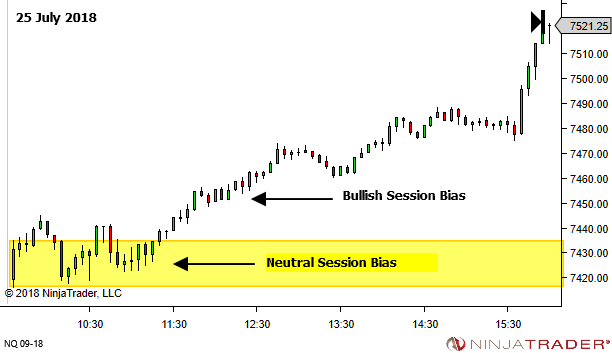 It essentially provides me with an immediate "bigger picture" assessment as to whether the session as a whole should be considered bullish, bearish or neutral. 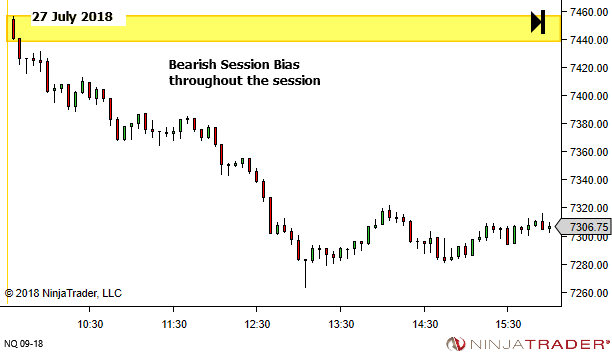 I don't restrict trading to this session bias direction (although some people may choose to do so). I trade with reference to the trend and S/R structure, as discussed earlier. 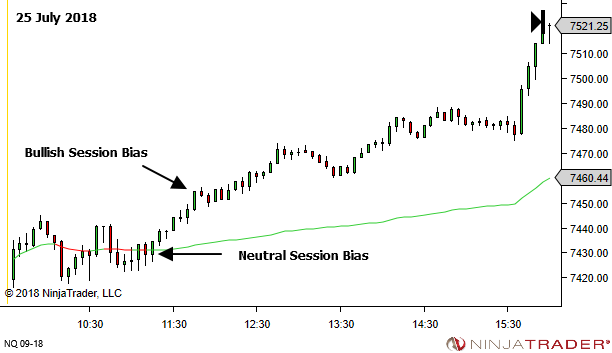 But the session bias helps to weight my preference slightly to this "bigger picture" direction. 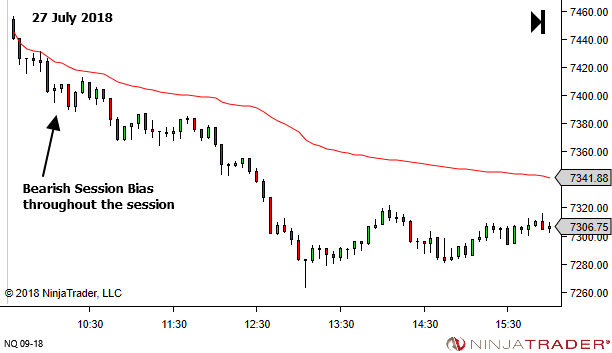 When trading with the session bias I might show a little more patience in letting a trade prove itself. And a little more confidence in holding for larger targets. 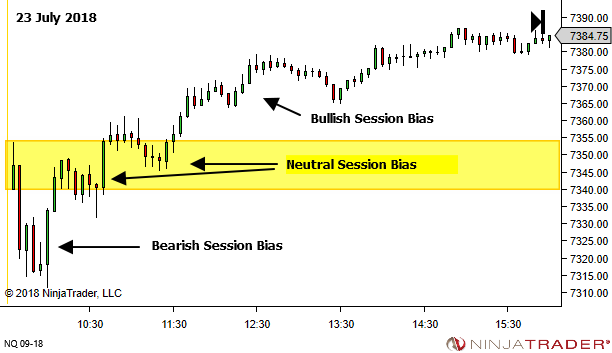 Against the session bias, I might prefer to limit myself to A+ quality trades only. I might require them to prove themselves more quickly, or else I'll be scaling back the risk. And I might be satisfied with closer targets. 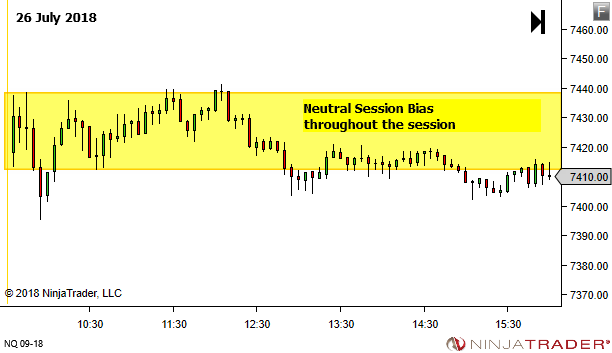 The method is simple – just display the opening range on a higher timeframe chart. 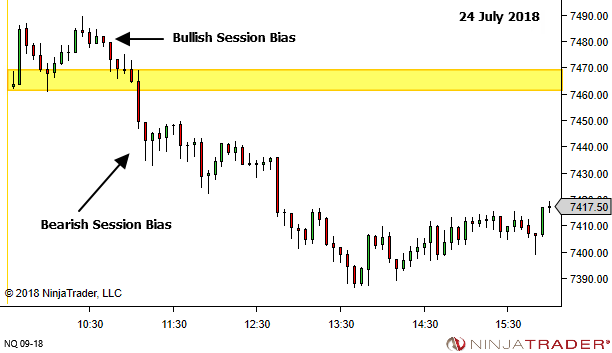 Price holding above the opening range is bullish. Price holding below is bearish. Stuck at the opening range (or in the vicinity) is neutral. VWAP works great as well. Again, price above VWAP is bullish and below is bearish. While price oscillating around the VWAP is more neutral. Interestingly, you will note that both methods produce a slightly different result, at times, in particular immediately following the session open. That's completely normal. And it's fine (we're only getting a feel for a "bigger picture" bias here). Just be consistent in whichever you use. 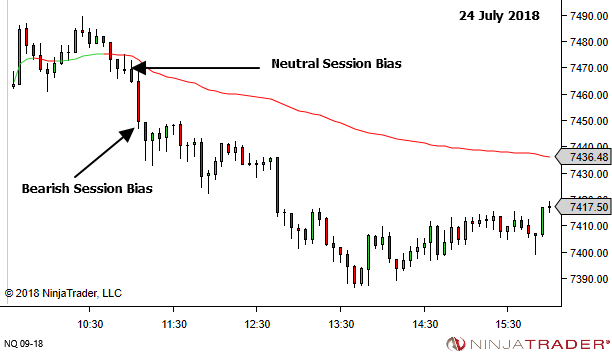 Play with some charts and explore the use of either the opening range or VWAP. Or find your own method. There are many options. Whatever you choose, just keep it simple. No "analysis" required. Just an immediate visual assessment of bullish, bearish, or neutral. Yes. I have previous close line drawn on my charts along with many other SRs automatically through my custom indicator. If above the previous close or have tested the previous close its a go for long. Thanks Tariq, Yes, that’s another very quick and simple method. I love it. Thanks for sharing. I usually use the 21 EMA the same way you would use the VWAP. Do they work in a similar way? Are you using VWAP with standard parameters? Hi Josh, an EMA will work just fine as long as it’s on the higher timeframe chart. And yes, standard parameters for single session VWAP, starting from the RTH open. Noting of course that the two will give different readings, in particular when there is a gap from one session to the other. The EMA will lag as it catches up, whereas the VWAP automatically starts from the new open. There are pros and cons both ways though; I’m not suggesting one is better than the other. Most important I guess is to just be consistent in whichever you use. What time period do you use for your opening range? When does the opening range start and end? The opening range in this article is based upon the opening candle from my higher timeframe chart (5 minutes). So all you do is take the high and low of the first candle and extend a box to the right. Do you think this could be applied to Forex too, for example using the first higher timeframe candle after London open for reference? Absolutely YES. It sure can.